Mr Selina heard about KoSEP from a friend and contacted a nearby micro finance institution to improve the energy efficiency of his house. His five member family lives in a 220 square meter house, hence, space heating and low energy bills are of crucial importance. The KoSEP team advised Mr Selina on thermal insulation of the house and materials to be used to achieve the best result. The client applied for loan financing for this measure, having selected the 10 cm thermal insulation from the KoSEP Technology Selector. 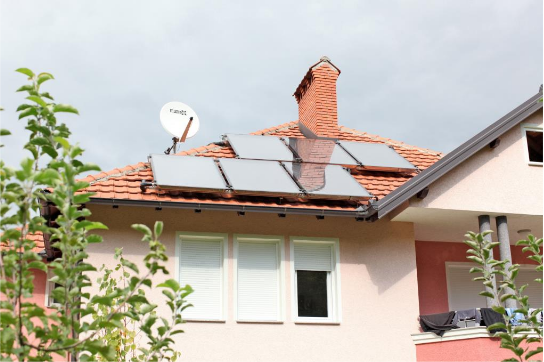 The €4,000 investment allowed Mr Selina to reduce his house’s electricity and fuel consumption by 35 per cent, translating into €540 of cost savings per year. After the investment is repaid from energy cost savings in five years, the family will generate additional income for years to come – a good supplement to a family budget. Not to forget the comfort increase in the house. Such residential investment examples not only stimulate people to improve the quality of life, but nurture the culture of a wise and careful attitude to the environment and its resources. This way, KoSEP supports the sustainable financing and implementation of energy efficiency and renewable energy projects by the residential sector. Together, the residential, private and public sectors can make a change in energy consumption patterns and contribute to environmental protection.